What Are the Biggest Horse Racing Events of the Year? The Triple Crown, Breeder's Cup, and More! 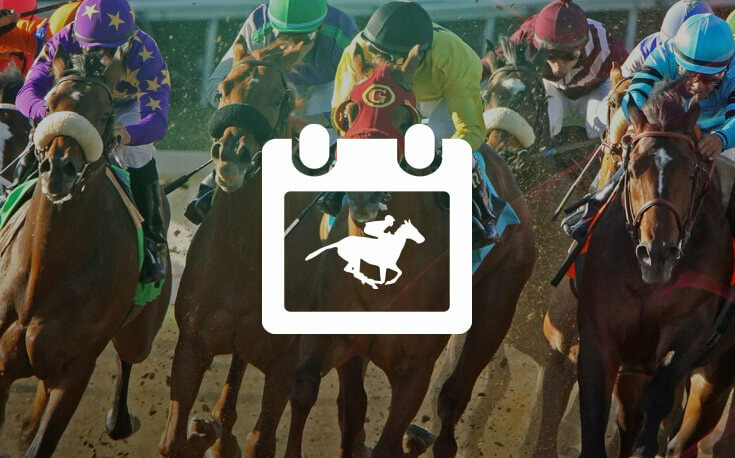 Like most sports, horse racing has a handful of can’t miss days on its yearly calendar. From Derby Day to the complete Triple Crown, here is your guide to the biggest betting days in horse racing. In the span of five weeks, three-year-old thoroughbred horses run three races at varying distances at three different venues. At such a young age the Triple Crown is a daunting task to attain for the lightly raced competitors. Only 13 horses in history have won all three Triple Crown races. The first leg is the Kentucky Derby which is followed by the Preakness Stakes at Pimlico in Baltimore two weeks later, and then the Belmont Stakes in New York as the third and final leg. The Triple Crown winners include some of the greatest racehorses in history like Citation, Secretariat, and Seattle Slew. Affirmed won the Triple Crown in 1978, and as the years went by people began to wonder if there would ever be another champion in horse racing’s modern era. American Pharoah broke the streak in 2015, and Justify claimed the title in 2018. Since 1875, the biggest race (and best attended, with over 100,000 visitors every year) on the U.S. horse racing calendar is the Kentucky Derby. Run at Churchill Downs in Louisville, KY, the day and party are about much more than the two minutes it takes for 20 three-year-olds to run 1.25 miles. The goal of every owner, trainer, and jockey is to participate and win the Derby on the first Saturday in May. Without a doubt, the Kentucky Derby is the most prestigious event on horse racing’s calendar, and it’s one of the most heavily bet on events in all of sports. For several months leading up to the Kentucky Derby key prep races are run throughout the country. Because the Kentucky Derby is limited to three-year-olds, and the number of races for two-year-olds is fairly small, these preliminary events whittle down the field and are vital to making sure the top horses gain entry to the main event. The middle jewel of the Triple Crown is run at Pimlico Race Course in Baltimore. Run just two weeks after the Kentucky Derby, the Preakness is the shortest of the Triple Crown races at 1,900m. The scene at Pimlico is similar to the Kentucky Derby, both in presentation and in the type of races that take place. Whoever won the Kentucky Derby will likely be favorited to win the Preakness Stakes. They call the 1.5-mile final leg of the Triple Crown “The Test of a Champion.” The Belmont Stakes, run at Belmont Park on the second Saturday in June on Long Island, is daunting for many reasons. What makes the Belmont so tough is the multitude of factors a horse who has already won the Kentucky Derby and Preakness is up against. First, the task of running three races in five weeks is very difficult for any horse. Fatigue plays a huge role in horse racing. Many horses who run in the Kentucky Derby and don’t win skip the Preakness so that they are fresher for the Belmont. This leaves the winners of both races to face well-rested, agile competition. Additionally, new horses, who are even more well-rested or have been training specifically for a marathon like the Belmont try their hand in New York. In 2011, Tonalist, having run a race at Belmont a month earlier, beat would-be Triple Crown winner California Chrome in the Belmont Stakes. Finally, the distance is the longest race most horses will even run in, and many aren’t bred to do so. If a horse wins the Triple Crown, you’ll know that it’s an exceptional horse. If the horse racing season really gets going on the road to the Kentucky Derby, it ends at the Breeders’ Cup. Run the first weekend in November, the venue for the Breeders’ Cup changes year to year. The Breeders’ Cup World Championships are a two-day event that includes 14 races. The races on Breeders’ Cup weekend crown champions in various categories. Each race is worth at least $1 million. The purse for the Breeders’ Cup Turf for the top grass horse is worth $4 million. The Breeders’ Cup Classic, the culmination of the weekend, is open to all of the best horses in the world and has a purse $6 million. Breeders’ Cup races vary from best two-year-old male and female, sprints and longer races for each gender. There are also events on both the traditional dirt racing surface and the artificial turf. Every significant racing category has a Breeders’ Cup race and horses from around the world come to compete. The wide range of races presents many different opportunities for bettors. Most of the year there is strong racing in California, Florida, Kentucky, and New York. Santa Anita Park, Gulfstream Park, Churchill Downs, and Belmont Park are the lifeblood of the sport. However, there are several shorter, richer, and bigger racing meets that make horse racing so special. These boutique meets draw a ton of betting action every year. Saratoga has been running horse races in Saratoga Springs, NY, north of Albany, since 1863. Saratoga has the best racing in the country from a quality standpoint when they run between late July and early September. Every day at Saratoga they have at least one stakes race, and frequently several. Additionally, they feature tremendous two-year-old racing that helps identify the stars of tomorrow, horses debuting with big expectations. Finally, the Travers Stakes at Saratoga often attracts the winner of multiple Triple Crown races, unofficially ending the high-end summer season of racing. Del Mar is more expensive than Saratoga, but like its East Coast rival, offers incredibly high-quality racing from July to September, and does a lot to attract different types of fans. They have concerts and special bars and really make the racing part of an incredible social scene. The boutique tracks take on the identity of their surroundings and patrons. Nothing says Kentucky like great racing on rolling hills of bluegrass. Keeneland has spring meets 15 days in April and fall meets 17 days in October. As a National Historic Landmark, it has been the site where seemingly every horse racing movie has been filmed including Seabiscuit, Secretariat, and Dreamer. The racing is high end, and the vibe is whatever you make it. Wear a suit and hang out upstairs, or show up in shorts and a t-shirt. The more you know the better off you are. In addition to getting data on individual positions, you need to fully understand the rules and way sports betting markets work. We have guides for almost any sort of sports betting you could be interested in. Read. Learn. Enjoy. And good luck!